The weather may be cold and gloomy, and the days may seem much shorter, but here at dealchecker we’ve found nine ways to keep you warm and toasty this winter. 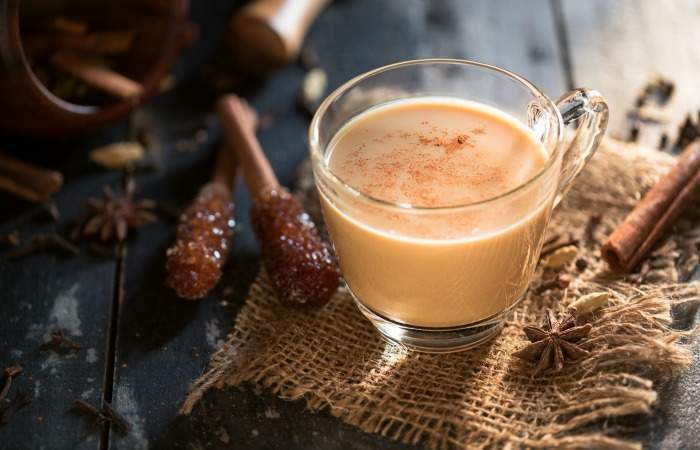 Us Brits are big fans of hot drinks, especially where alcohol is thrown in for extra warmth, so why not get stuck into some of our favourites from across the globe this Christmas? 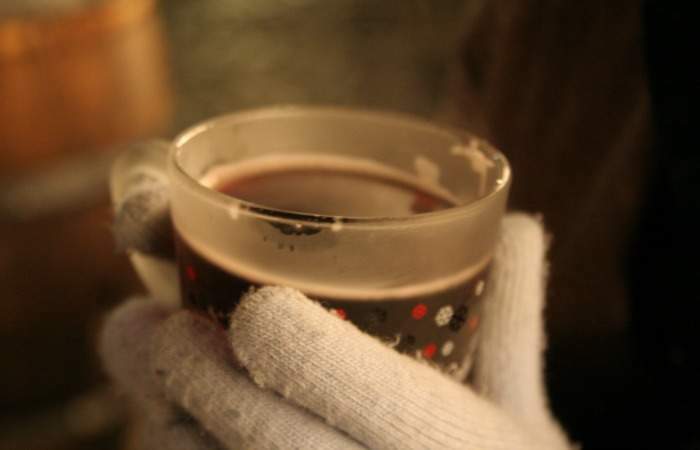 Popular in Germany and in the region of Alsace in France, glühwein is a traditional hot beverage which appears throughout the Christmas holidays. 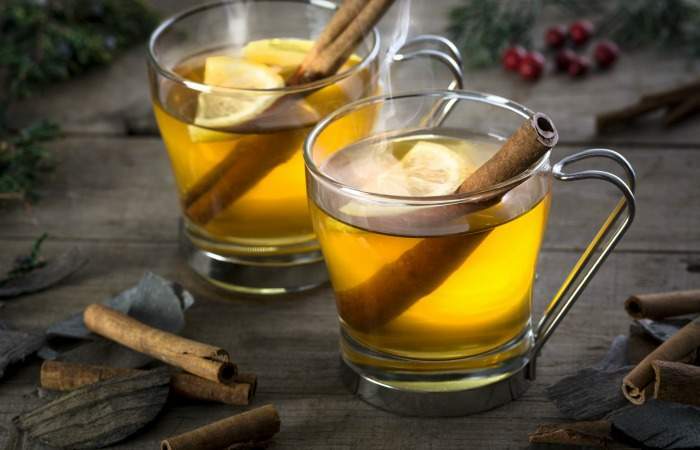 The drink consists of heated red wine which is usually spiced with star anise, cinnamon and cloves with the addition of fresh vanilla and citrus. Sometimes drunk with a shot of rum or another liquor, it is found in Christmas markets all over the country. 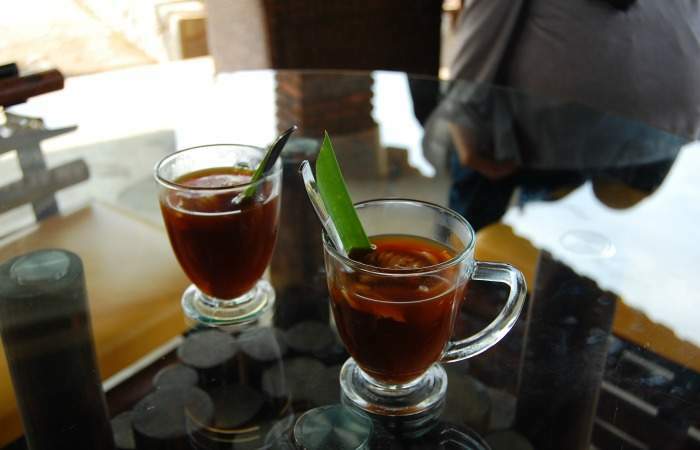 Bandrek is a traditional hot, sweet and spicy drink found in western Java in Indonesia. Consumed by many locals living in the highlands to warm themselves at night and during cooler weather, it is believed to have healing powers on minor health issues. Packed with ginger, palm sugar, lemongrass and cardamom, and usually served with sweetened condensed milk or coconut milk, we can see why bandrek is a firm favourite. 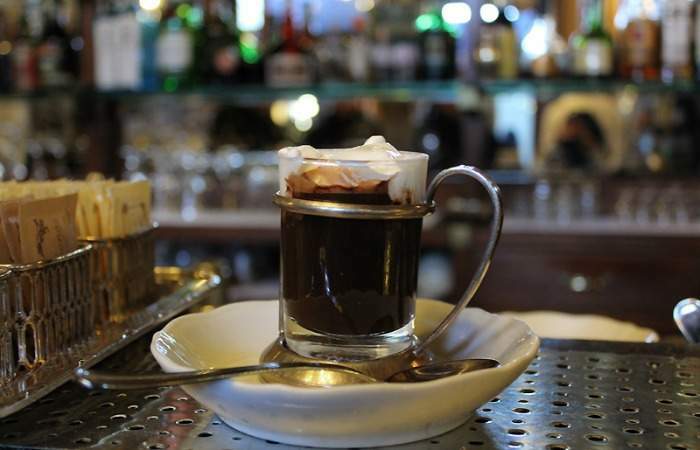 Traditional to Turin in the Piedmont region of Italy, this beverage was founded back in the 18th century and is still one of Turin’s most famous delicacies to date. Made up of fresh espresso, drinking chocolate and whole milk, the drink is carefully layered into a small rounded glass. A delicious winter warmer! 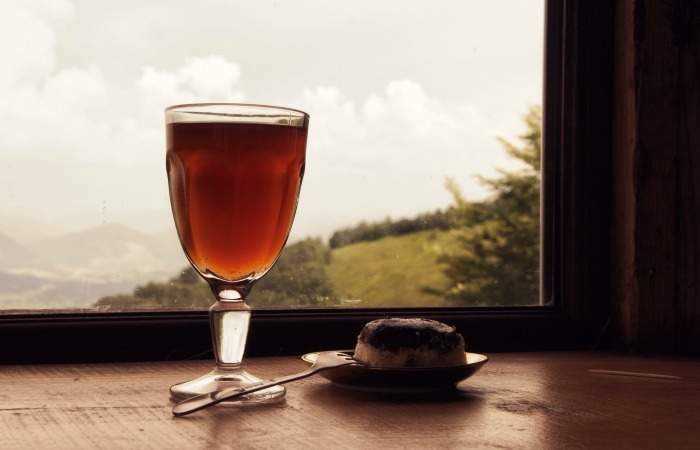 It’s one of Ireland‘s most popular drinks, and it all begins with fresh black coffee being poured into a rounded glass. Whiskey and a teaspoon of sugar is then added and mixed until dissolved, the sugar being the most important ingredient to enable the cream to float on top. The thick layer of cream is then carefully poured over the back of a spoon to allow it to gently sit on top. 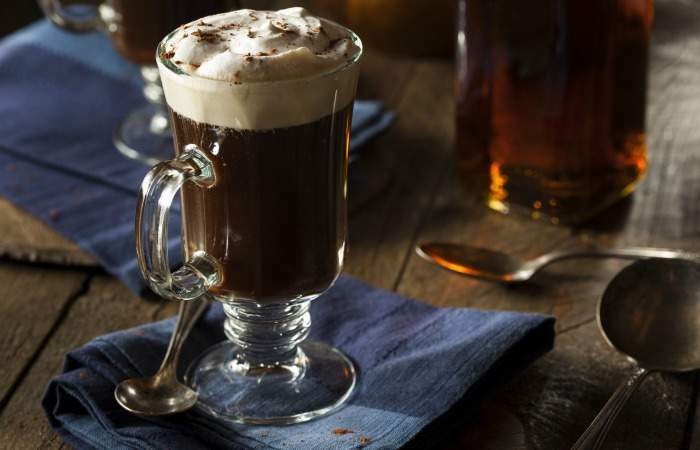 You just don’t get any better than an Irish coffee! A traditional winter drink in Russia, sbiten is cram-packed with warming flavours to keep you toasty. The basis of it is a hot water and honey mixture with jam and spices, but there are many variations of this Russian classic. Mint can be added, and cinnamon is also another popular version. The water is also quite often substituted for red wine for those looking for a bit of extra warmth in the frosty months. 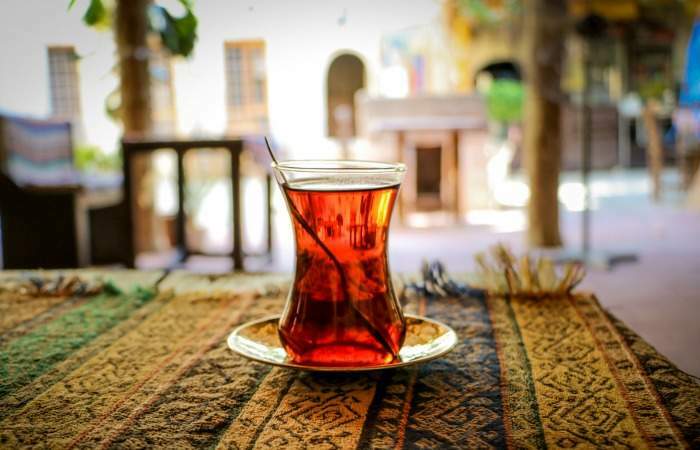 Unlike our English breakfast version, this famous tea from Turkey is consumed without milk. Normally using tea from the Rize Province, Turkish tea is typically prepared using two stacked kettles called çaydanlık. The water is boiled in the lower, larger kettle and then some of the boiling water is poured into the top to infuse the loose tea leaves. The drinker can then choose how strong they drink the tea, by adding extra water if desired. Available in many coffee and tea houses worldwide, the famous masala chai is a firm favourite amongst hot beverage drinkers. The drink consists of black tea with a mixture of aromatic Indian spices and herbs which create a deep, earthy flavour. Traditionally in India, chai is made fresh with green cardamom pods, cinnamon sticks, ground cloves, ground ginger, and black peppercorn, as opposed to being infused from a teabag. 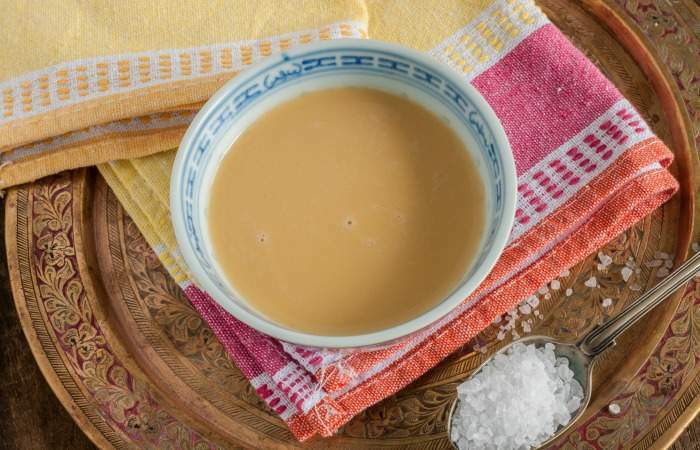 Also known as po cha, butter tea is most popular with people living in the Himalayan regions of Nepal, Bhutan, India and, most famously, Tibet. It is not uncommon for a Tibetan to enjoy several bowls of this warming beverage each morning before work. Made with tea leaves, yak butter, water and salt, it sounds fairly simple. However, before consumption the tea leaves are usually brewed for half a day in boiling water before being sieved and then mixed with the other ingredients. Last (but most definitely not least) is the famous hot toddy from Scotland. Typically made of liquor mixed with water, honey, herbs and spices, it is believed by many to relieve the symptoms of the cold and flu. Served hot, most will consume this alcoholic beverage before bed on a cold or rainy night.